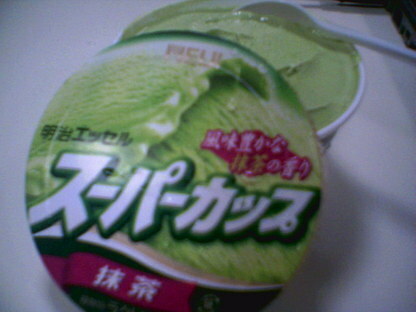 So my colleague was asking if I will blog about the Meiji green tea ice cream we bought for our post-lunch treat. No, I told her, because my outdated phone camera can only yield sub-standard images. Back at my desk, I opened the carton and tasted the ice cream. Wow it is fabulous, indulgently creamy without melting too fast, on account of the shape of the carton and sheer quantity which easily satiates two people. 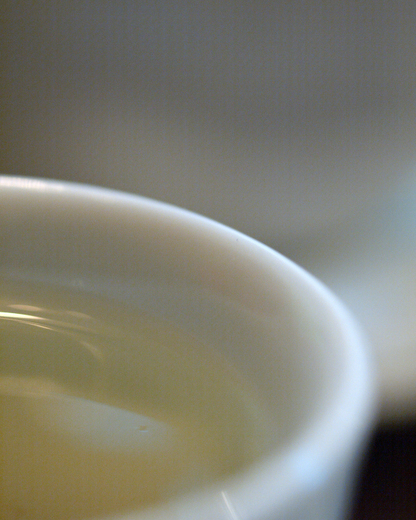 The green tea flavour comes through nicely without any hint of acridity, sweetness was well balanced too. Another elegant product from Meiji. It is a lousy picture but the ice cream sure made my day! As I was saying in the last post, husband included in his purchase two bottles of dessert and liquor when we were at Palitalia. "There was a demi-bottle of ratafia with its lower half replaced by a jar of ratafia-soaked cherries, and another similarly packaged bottle this time of limoncello and babas shaped like toadstools.Jo thinks we should organise a ladies tea with these, and other old-worldly refreshments, I quite agree"
Only thing is, I don't see how I can hold out until I get around to organising a tea party. There is a makan session tonight, and we are definitely opening one of these bottles. 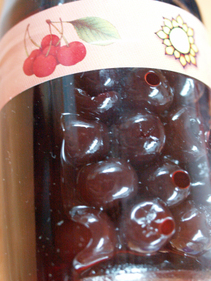 Update: We tried the ratafia and boozy cherries. The bottle and jar were both beautifully designed, the bottle looks like a laboratory flask while the jar has a thick centred neck- this last feature meant we had to tip it slightly to get that last bit of firm fleshed tiny cherries soaked through with the ratafia, all cherry cherry and whiffing extravagantly of almonds. Good on its own, even better with vanilla ice cream or layered in a black forest cake I imagine. Saturday morning found us waking up really early (9 a.m!) to go to Tekka market. We knew we were early because we didn't feel stressed about making a detour to the cooked food section for a spot of breakfast. But not early enough to squeeze in some yoga before rushing out again to pick Ivan up from a nearby bus stop before we hit town. Chinatown that is. Where the Palitalia trade office sits smack opposite the Cantonment Police Station, where husband and the men pondered their alcoholic booty and I caught up with Jo on important matters like oh, online shopping. 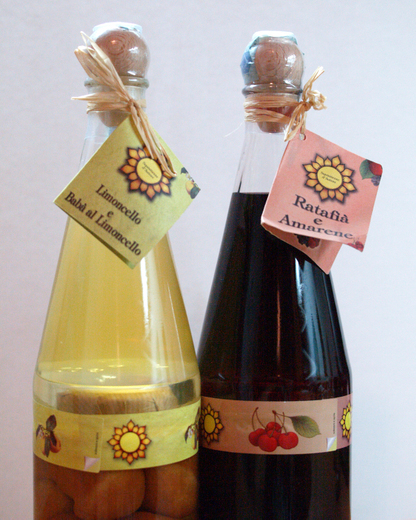 Gary the owner of Palitalia was very sweet, his composure never wavered in the face of my inane remarks like "so pretty, this bottle (Tosti Asti) looks like Babycham" and "OMG ratafia, that's what genteel old ladies in literature books drink!" 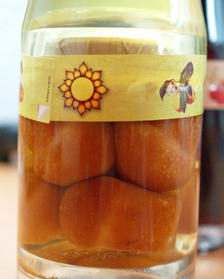 There was a demi-bottle of ratafia with its lower half replaced by a jar of ratafia-soaked cherries, and another similarly packaged bottle this time of limoncello and babas shaped like toadstools. Jo thinks we should organise a ladies tea with these, and other old-worldly refreshments, I quite agree. 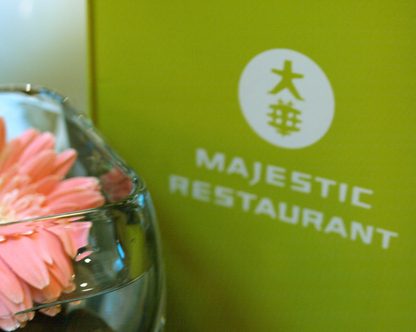 For lunch we decided on the Majestic Restaurant which was in a parallel side street behind. It wasn't crowded and we were seated quickly in a nice corner booth. Osmanthus something tea, the colour mirrored pale gold, however the fragrance was a tad too suble but it was refreshing enough. The food, hmm, let's just say we wondered what the hype was all about. The Majestic Appetiser plate ($36) was a quartet of mini sharksfin omelet lettuce wraps, braised goose, deep fried softshell crab and crunchy wasabi prawns. All very nondescript, nothing we have not tasted at countless numbers of Chinese restaurants in town, surprisingly and tellingly, the dish we liked best was the wasabi prawns, the wasabi here was as I like it, i.e. very subtle. The waitress warned us against ordering their deep fried chicken with wasabi but we went ahead anyway and found that again, they do deep frying and wasabi sauce very well. Y a w n, maybe she was right. In between we drank soups- a beancurd broth with seafood had a savoury soya milk taste which was not unpleasant but the token fried scallop was rubbery and bland, a bamboo pith soup was again, inoffensive but not in the least stellar. I forgot to ask Ivan if his hot and sour soup was good though. 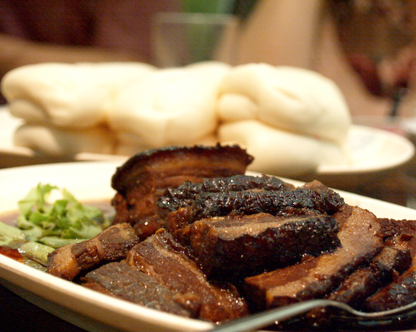 There was also beancurd braised with garlic, it was so plain, so dull, so catatonic I wondered why they even bothered. The obligatory carbo dish of fried meesua was well fried, i.e. 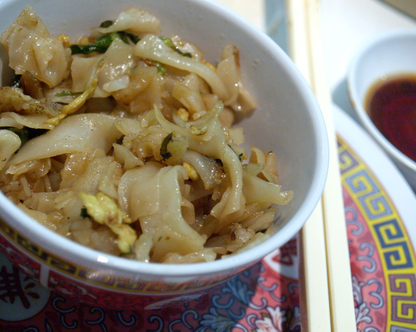 not greasy, but not so well fried that wok hei was allowed to seep in. Needless to say, we were not tempted to order desserts. Looking around, the Saturday lunchtime crowd was mostly of the low-key, well-off middle-age to elderly demographic. My friend ttc, when I was talking to him about this at supper much later, informed me that right next door is an old-school millionaires club where bankers and tycoons gather to play mahjong. Perhaps that is it, this is like the kitchen of a rich man, he wants fine food, but nothing too fancy. His scions and their hip friends come to dine, these younger set are certainly in a position to generate the buzz to make us ordinary folks curious to try it in the first place. Even though other local bloggers have already said not very complimentary things about the place, we still invest more faith in these trend setters and taste makers. Fools that we are, oh well, live and learn, live and learn. 3 August 06: Ivan finally blogged about this meal. Whenever I behave badly, as in nag ceaselessly or lose my temper without reason, my sisters will comment that I am going to turn into my mum. And I will ask them defiantly what's wrong with turning into our mother? In turn, they'll keep quiet but the roll of their eyes and the shrug their shoulders only reinforces their convictions. I then tell myself that mummy and I are completely different creatures. The irony though, is that I have turned out very much like my mother, we have the same built, share similar views and philosophies, the way we speak almost echo each other. We even suffer from similar ailments like the achy rheumy joint pains that is bothering me right now. The shoulders especially are very stiff, no doubt due to my lack of diligence in exercising and yoga-ing the body, but also attributable to the muggy weather that we've been putting up with lately. When the aches and pains set in, I naturally turn to thoughts of eating Ginger Fried Rice. Chinese people believe that rheumatic conditions could be caused by excess 'wind', and ginger is one of the best expellants of wind according to chinese folk remedies. This afternoon I made some for lunch, using the recipe as that my mother taught to me so many years ago, with heaps of finely chopped onions and old ginger. As much as 1 cup of ginger to one cup of cooked rice, more if one can tolerate the heat. 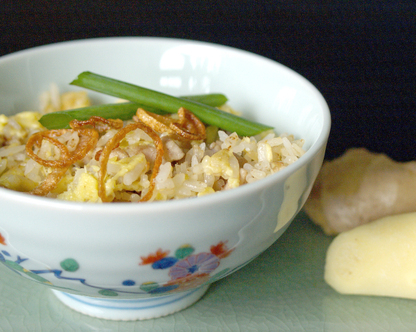 The addition of onions sweeten the rice and takes the edge of the blister of the ginger, while the soft curds of barely scrambled eggs add a dimension of comfort and textural contrast. Best of all, it takes only 20 minutes to cook if one has some cold rice handy. In a wok, stir-fry onions and ginger with a mix of cooking oil, shallot oil and sesame oil, tossing until they turn pale gold. Add the pork and toss for a few minutes before stirring the rice in thoroughly and then turn up the heat to cook the rice to the almost dry stage- at this point the grains should be jumping and popping on the wok surface. Check seasoning, add fish sauce or soy sauce as necessary. Turn the heat down, make a well in the middle of the rice, add some oil and pour in the beaten eggs. Stir the eggs till it is softly scrambled. Mix the eggs and rice together quickly, do not overstir. Serve with scatters of fried shallots. The restaurant groups Crystal Jade and Tung Lok have between them cornered the market on the local Chinese restaurant scene. 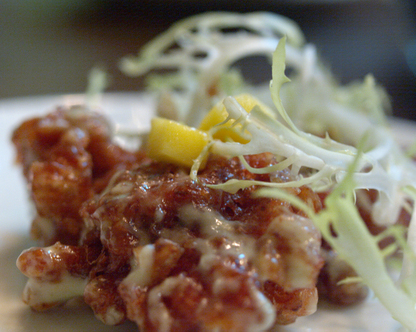 Their influence pervades far and wide-outlets all over the island, from budget roast-meat-noodles operations to swanky fine dining options covering most popular regional Chinese cuisine as well as Thai and Korean options. I prefer eating at Crystal Jade outlets, their town restaurants generally deliver on their promise of good food with reasonable prices served in pleasant surroundings and acceptable service. The goodwill dropped a bit in recent months with the perceived drop in quality when some of their staff were poached by their once-partners-now-rival Imperial Treasure but I am certain they will get back their groove. Tung Lok, though, I have semi-boycotted for years. Two weeks ago, if I was asked how many times I've eaten at a Tung Lok establishment , my reply would have been "once or twice in the past three years". A deep contrast to the late 90's when I fervently championed them, especially Lingzhi, Kippo and later, Club Chinois. Over the years I observe their restaurants expanding and the menus becoming indistinguishable from each other, and their service, already poor as in the auntie waitresses would sort cutlery loudly right behind you all the time, decline even further until it became a reason to avoid patronising them. Things change, as they have the habit of doing, and sometimes circumstances put these things in a different light. Where I live, at the Newton/Novena/Balestier area there are only a few good Chinese restaurants- Asia Grand which can be inconsistent and especially fails consistently in their desserts and dim sum, Peach Garden for its rather snobbish attitude, and... that's it really. There is no Crystal Jade restaurants in the vicinity, I can only speculate that this area is a UOB/ UOL stronghold and the landlords and Crystal Jade have not come up with a mutually acceptable agreement. 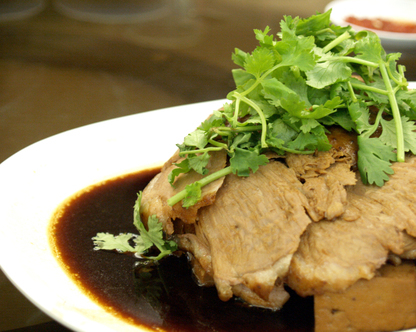 Which leaves the path clear for their competitor, who already have a Lao Beijing restaurant in Novena Square. Two weeks ago when I went to the building for lunch, I discovered that the premises previously occupied by Coca Steamboat has been refurnished and is now occupied by House of Hunan. I guessed immediately that it is a Tung Lok place, because the entrance is visually dominated by the same wooden carved seats that they display in Lao Beijing a floor below, and there are not many restaurants claiming to serve Hunanese food other than Tung Lok. And I was swayed in my decision by memories of how difficult it was to get tables at their Charming Garden hunanese restaurant- it was a very popular wedding bangquet venue, I remember we enquired for our wedding and being laughed in the face as they told us other couples book two years in advance for the privilege! True enough, the staff later confirmed that they are from Charming Garden, as the hotel which housed them is slated for conversion to condominium. The decor is bright in a nondescript contemporary way, as in it could be a chinese restaurant by day and a hotel coffeehouse by night way, but the five day old restaurant was humming smoothly with lots of tables occupied by office workers and at one corner a gathering of senior ladies making full advantage of their $9 per dishes promotion. The promotion is now over but most early bird diners would have been presented with cash vouchers to assure their repeat patronage. The food was mostly as I remember from Charming Garden, favourites like Pigeon Soup in Bamboo and Crispy Bean Curd sheets reliably good after years of making it over and over again I suppose. 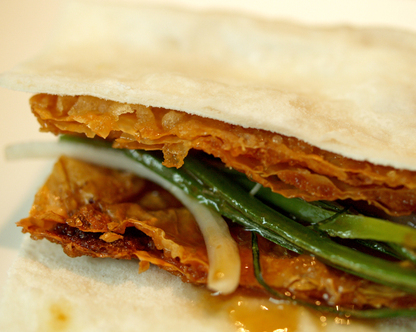 They generally serve the bean sheets individually wrapped in steamed bun skin, but I prefer to make my own double-layer version with extra scallions which gives more of the smoky sweet crisp beancurdy taste in each bite. The soup was light, brothy and meaty without gamey overtures, and sweet from tiny chestnuts pieces mixed with the minced meat, nolstagic pleasure in each healthy spoonful. Also new are a slew of braised dishes that would go excellently with rice, over two visits I tried a few and and found them to be mostly tasty and not just something put carelessly together with a generic brown sauce. The dishes are more robust and earthy, none of that delicate Teochew prissiness nor disciplined ingredient-driven Cantonese strictures, Hunanese food is known for its unbridled use of aromatics and peppers. Like a plate of specially imported green chillies flame-fried with a scattering of pork belly, it was weird at first to be eating green chillies like we would a dish of kai lan, but the peppers were surprisingly sweet and only a little fiery. I was recommended to try their duck braised with young ginger and chestnuts, while the duck was rather tasteless, on account of them being frozen before use possibly, the gravy was incredibly more-ish, richly flavoured without being too heavy. The service was to me at least, uncharacteristically good, as in the staff were very responsive and alert, and knew how to recommend dishes without necessarily pushing their pricier dishes and even managing a smile or two. Yesterday, when we were stuck in busy Scotts Road on the way to Asia Grand, which was actually Plan B after we had cancelled a reservation for a restaurant along Orchard Road, on account of the heavy traffic and our growling 1.30 p.m. bellies, husband remarked that we should have gone to House of Hunan instead. This, from a man initially sceptical when I first suggested trying out that "new Tung Lok place". And with the swelling numbers of cars on the road, it may well make sense for us to walk over to this neighbourhood restaurant more often. We're back now, the entire time we were home we did not even venture out to the city centre. I stayed at home, played with the kids and quilted while husband caught up on his sleep and homework. 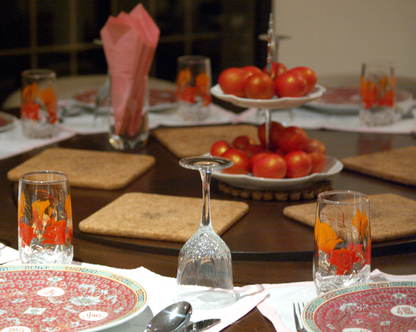 She also set the table with a red theme, I was really touched by my family's warmth. This was only the second time since I was a teenager that we celebrate my birthday at home, and it sure makes a lovely change from the usual quiet celebratory dinner with husband (romantic though that may be). 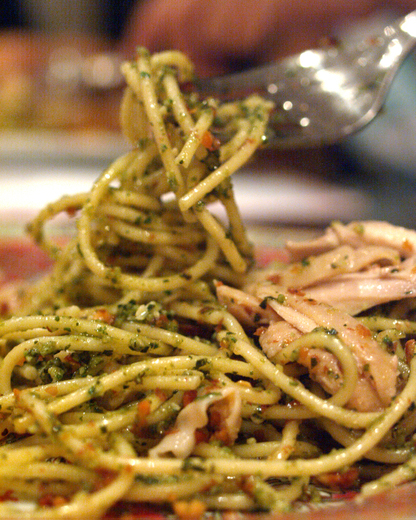 Instead of noodle soup, third sister cooked up a batch of pesto pasta to go with the steamed chicken, a modern update of our family's traditional birthday foods. 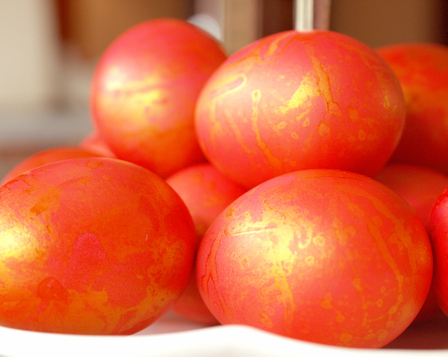 Ever since I can remember, mummy has always celebrated our birthdays with red eggs, noodles and chicken. She used to make us pose for our birthday pictures with a chicken drumstick in one hand. My father's eldest sister used to rear chicken in her backyard, up till two to three years ago before bird flu was known of, she would make sure that a live chicken is delivered to our home everytime any of us had a birthday. 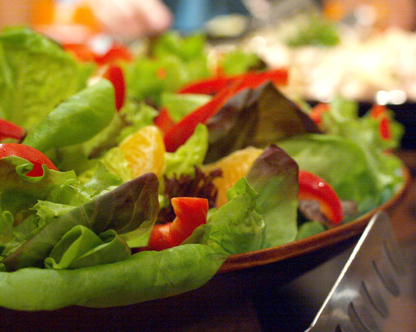 A colourful fruity salad for the obligatory healthy dish. 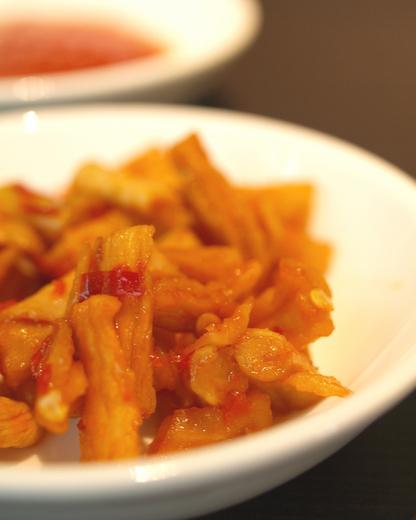 Stir-fried prawns, another must-have item. 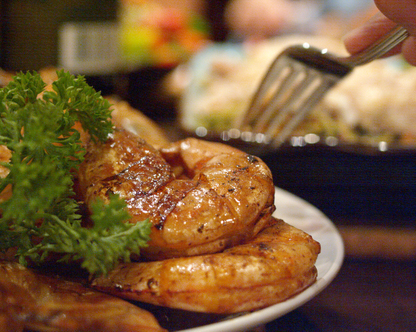 Prawns are always cooked this way in our home, mummy has perfected it to the very last bit of salty caramelised shell. There was another dish of grilled lamb chops, lamb and cranberry meatballs, roasted root vegetables and gravy. Which we definitely did not eat when we were children. And then, when the children could bear the suspense no longer, the cakes were brought out and I was sung to, and they helped me to blow out the candle and cut the cake. 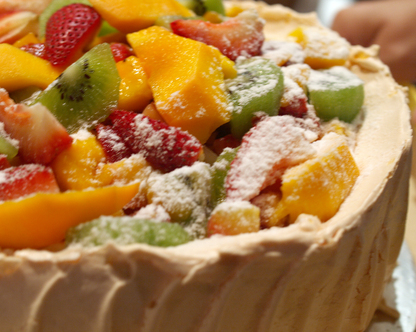 Third sister had thoughtfully ordered two cakes from Just Heavenly- a rummy chocolate cake and a gorgeous fresh fruit pavlova- when we collected the cakes there were about 5 or 6 of the chocolate cakes similarly frosted, so I wasn't the only birthday person that day. I am 37 years old today. 3 more years to the big 4! Funny, I feel like I am still 27. Have eaten 2 pre-birthday dinners, 1 pre-birthday lunch and going home to KL for red eggs and dinner with everyone at home. And thanks to all those who sent me birthday messages,greetings, flowers, I am thrilled that you are so thrilled.....yup, 37.....omg! Yeah, the blog. Not very happening, same old same old. But I took some nice photos lately. Feel free to browse in the flickr gallery by clicking the badge on the right sidebar. 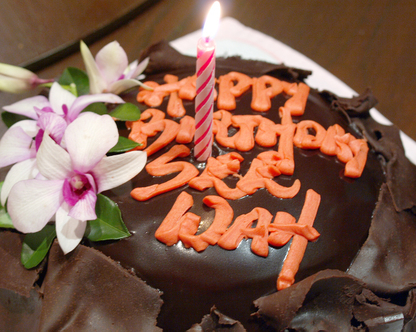 Our makan gang celebrated our fourth anniversary this week. These past years, we've been faithfully meeting up for dinner every month, not even SARs could stop this bunch of intrepid foodies, going through the usual travails of friendship- conviviality, crisises, births, marriages, job changes- whilst celebrating our common love for good food. In fact, some of us meet more frequently than once a month, it is easy to cook up an excuse to get together and eat well, that I often feel like I know them for far longer than a measly four years. Another principle that we maintain is to keep our meals are to a reasonable cost, rarely exceeding $35 per person yet ensuring that we still manage to feast like kings, no mean feat in this city. The wines that had stealthily made its way in these parties though, are another matter altogether, the insistence that the venue allows BYO means people bring along to share the wines that they themselves enjoy, whether it is a sparkly rose, easy drinking moscato or more complex Bordeaux reds- a great arrangement as everyone eats well and drinks as much or as fancifully as they wish. This being the fourth anniversary, ttc felt that we deserved to celebrate in grand fashion. 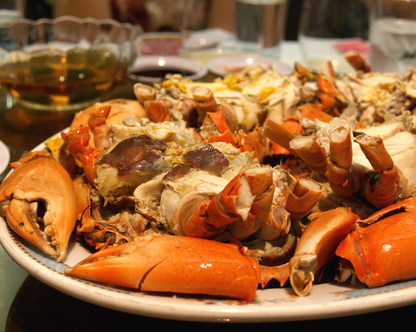 The venue was Guan Hin, a modest old-school Teochew restaurant which is well known for cold crabs. He ordered 4 crabs per table, and we were fortunate that that night that the crabs were unusually large and meaty with abundant, to-die-for creamy roe. 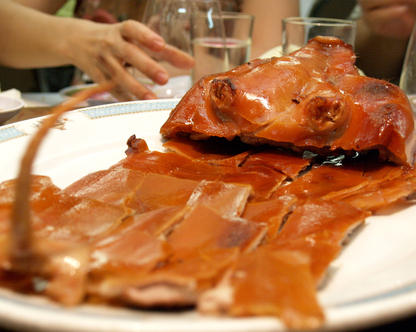 Is anything more celebratory in Chinese feasts than a beautiful whole suckling piglet roasted to thin crackly deliciousness? Well, maybe two piglets. Then there was the obligatory Teochew standard of braised goose which in this case was flavourful enough for me to forgive its tough texture. The tofu cubes sitting shyly underneath though, were completely imbued with the spices from the braising liquids. Cholesterol be damned, after the subsequent obligatory vegetarian dish and stewed sea cucumbers, both of which were sadly not as salutary as the first two courses, our attention was once again held by a platter of kong bak, slow-cooked pork belly with the requisite melt-in-the-mouth fatty layers and tender meatiness, eaten sandwiched in fluffy steamed bun pockets as a sort of DIY burger. 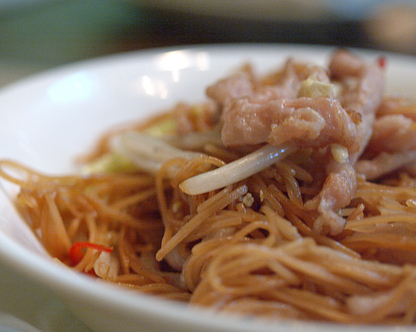 With all that pork sitting in our happy bellies, nothing more was needed than a bowl of noodles simply stirfried with preserved vegetables and scrambled eggs. Well, there was also dessert of outrageously rich orh nee, the yam paste cooked in the very traditional style so slick with oil and drenched in syrup even I was hesitant to eat more than two bites of, that was the perfect match for an intriguingly complex sticky wine like Bullers Fine Old Muscat that J had generously brought along. Cheers to more good years of food, conviviality and fellowship! This event was also blogged (with loads more pictures) by slurp and ivan.